There are many of us in the world that have an unusual, nearly supernatural ability to take down our opponents in a serious game of table tennis. Ping pong is (and rightfully should be) the ultimate determining factor of human ranking! But, at a certain point, the skill in the game is either too close or, heaven forbid, even gets a little boring. You can only compete the same way so many times! Sure, you can invent new crazy rules... cups of beer or nunchucks for paddles... but none of that feels especially illuminating. With the right gear, however, you can have a game that will leave folks seeing stars! 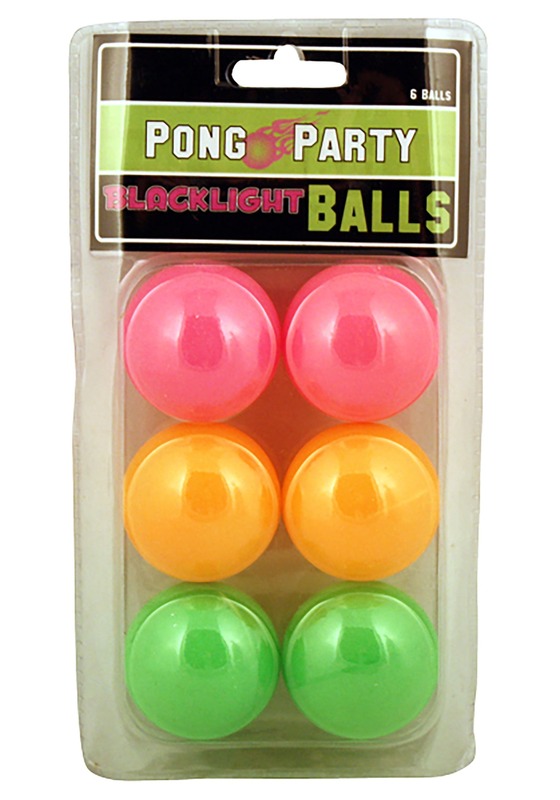 These Blacklight Ping Pong Balls are the perfect way to bring some gleaming color to your game. 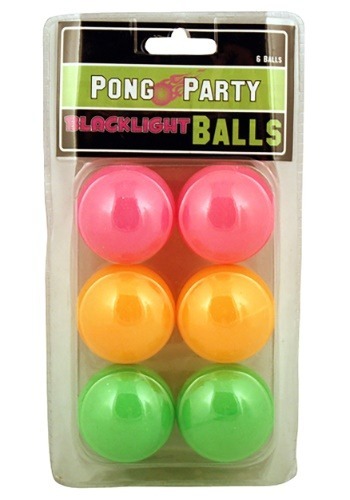 This package contains six pong balls of three different fluorescent colors: pink, orange, and green. That might be enough, but shine your favorite blacklight and watch them go neon to really up your game. There's nothing quite like a fun game of Ping Pong. But, when your balls are streaking across the table and leaving lines of neon light in their path? Well, that's a game that's going to be truly memorable. Have the game of your life with these Blacklight Pong Balls!